A singer-songwriter in the tradition of James Taylor, John Denver, John Prine, and Gordon Lightfoot, etc. Playing finger-style acoustic arrangements of original music and fan-favorite covers! Originally from the east coast, John now resides in beautiful Billings, Montana! A singer-songwriter with roots in folk, country and blues. Imagine John Prine, Jimmy Buffett, James Taylor with a little Paul Simon, John Denver, and Chet Atkins on the side. Throw in a little Smothers Brothers, Loudon Wainwright III, and a just a hint of Doc Watson and you start to get the idea. John plays exclusively finger-style acoustic guitar and his shows are a blend of original songs, fan-favorite covers, and usually one or two silly songs thrown in for good measure. John started performing in an acoustic trio in college called The Other Brothers (you've heard of the Righteous Brothers, the Everly Brothers, the Smothers Brothers... Well, they were the Other Brothers...). They played the bar and college scene in and around Baltimore, Maryland during the late 80's, and had a small and very disturbed following. After college, the band went their separate ways, and John switched to solo gigs for a few years. It was during that time that he took up songwriting. 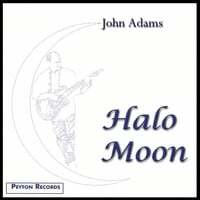 In the early 90's John went to Nashville and recorded a "demo" album of his early songs called Halo Moon. The producer/talent scout convinced him that he needed to have that "Nashville Sound" to be noticed. So it was an album full of country riffs, weeping steel guitars, driving drums and thumping bass-lines. It sounded OK - but, it wasn't true to John's nature, acoustic guitar in a traditional "folk" style. John has returned to his roots and now performs almost exclusively as a solo-artist... the consummate Man and his Guitar. Halo Moon When Was It? Easy listening blend of great vocals, guitar and a dash of humor. He'll keep your attention and make you wish he would play all night! 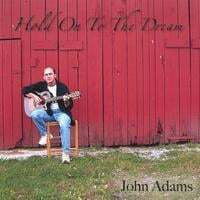 John's mix of funny lyrics and touching heart felt folk-type songs is a true measure of his song writing/singing talent. He has managed to create the type of CD that can make you laugh and cry. Can't wait to see/hear his next piece of art! Brilliant job!